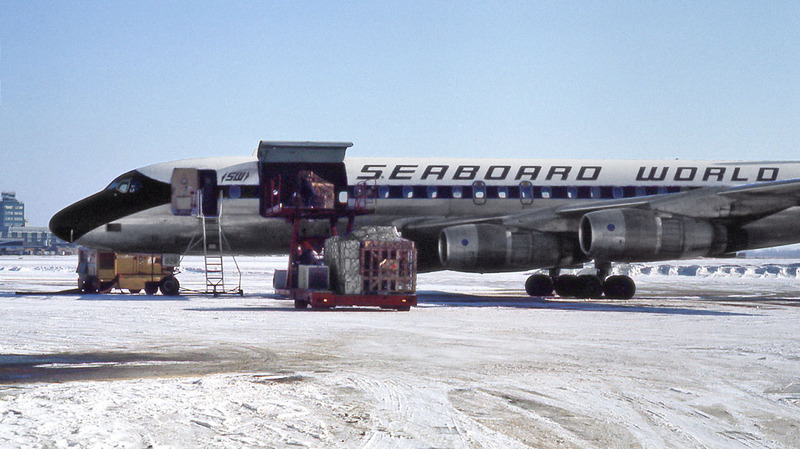 N8782R is one of two DC-8-54CF aircraft operated by Seaboard from May 1972 through December 1974. They were previously operated by Trans Caribbean Airways and obtained from American Airlines after American absorbed Trans Caribbean. 82R is seen here in Detroit, January 1974.